Projection mapping is an audience engagement digital technology that nParallel offers its clients. 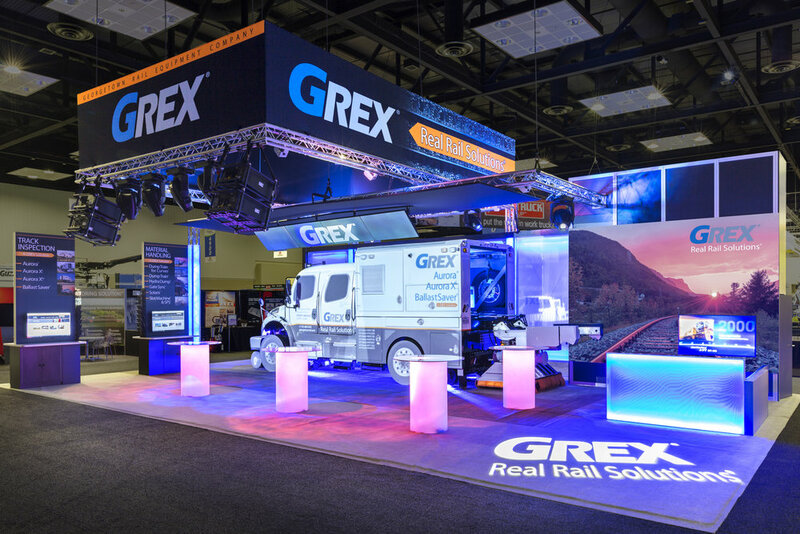 InQuest Marketing approached nParallel to create a custom rental exhibit solution that incorporated projection mapping for its client GREX, an industry-leading railway maintenance technology company. The goal of the exhibit was to generate excitement and awareness around the official launch of the company’s latest solution at Railway Interchange, as well as highlight its entire portfolio of products. The latest solution, the Aurora XivTM truck, combines the company’s best technologies and innovations into one vehicle. Projection mapping is an audience engagement digital technology that nParallel offers its clients. nParallel committed to highlighting, promoting and communicating to the industry and potential customers how the new Aurora Xiv makes railroad inspections more efficient and cost-effective. In partnership with InQuest Marketing, nParallel designed and implemented the technology for GREX. 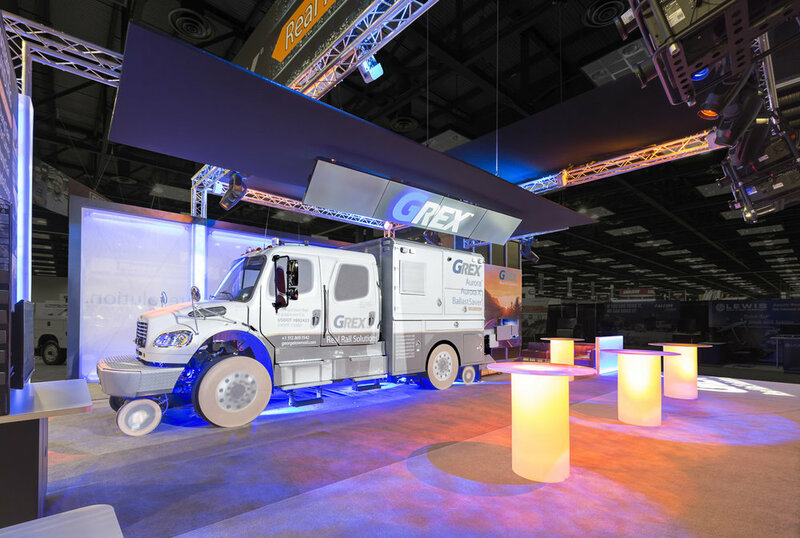 The entire custom rental exhibit solution, including the projection mapping experience, provided a heightened presentation and experience that stood out above the entire show floor at Railway Interchange. The project allowed GREX to successfully launch the Aurora Xiv while also showcasing existing product lines, generating excitement and increasing overall brand visibility.